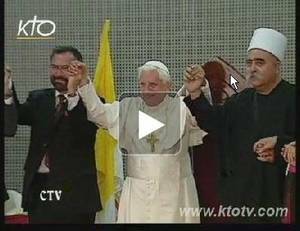 As Alon Goshen-Gottstein soulfully intoned a peace song/prayer composed for the occasion, Pope Benedict XVI held the hands of religious leaders in the Holy Land and joined them in prayer. 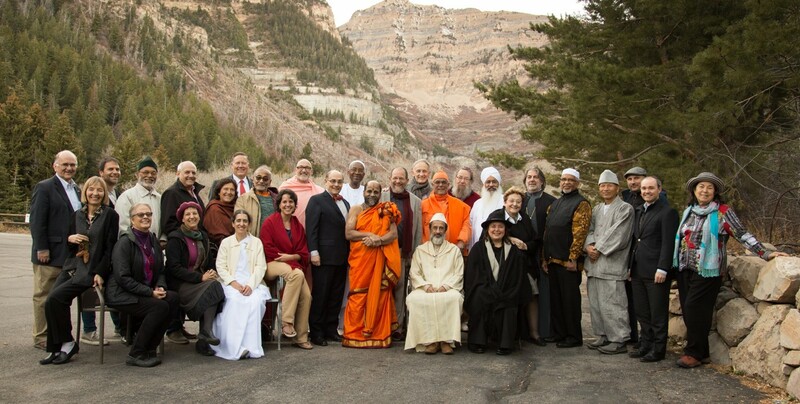 Click on the image above to go to YouTube and watch the prayer-song for peace. If the introductory words are not yet up, they may be seen (with some dubbing) at http://www.kathtube.com/player.php?id=10084. To watch the whole event, including introductory words and song, click here. This moment has transformed all those who watched it. But it remains unknown to many. The moment was designed to offer hope and encouragement to people of faith and goodwill worldwide. Help us share this moment. We would like to make an exceptional request: send this message to your personal mailing list, ask them to send it on. Let people know that there are other images and moments that give us the courage to go on. As one of our friends has said: If Susan Boyle could do it, so can we.